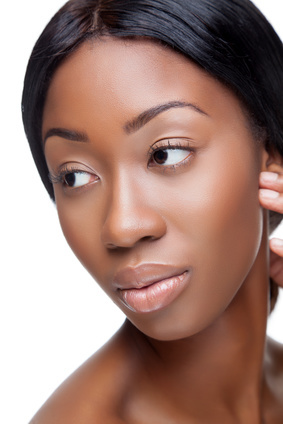 Shopping Mineral Makeup For Dark Ethnic Skin Made Easy! When shopping for a mineral makeup for dark ethnic skin, there can be many shade variations due to the complex diversity of undertones and overtones within the melanin and how it reacts with the sun and the heredity of the individual woman. In many cases it can require a mixture of two or more foundation shades we created in order to achieve perfection with mineral makeup application for the most flawless appearance. Women of dark ethnic origin can have as many as 35 different shades within their skin, whereas Caucasian women will have as little as 7-10 shade variations. With such a diversity in undertones and overtones within ethnic skin, finding the right mineral makeup shade can often be confusing and daunting. 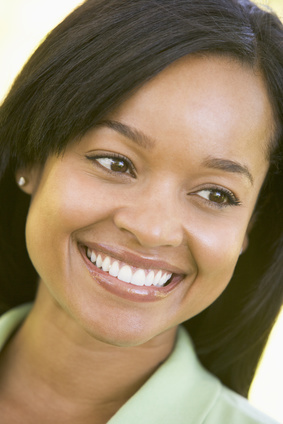 Ethnic Women can have light caramel, brown, reddish brown, golden brown, bronze, olive, red, orange, golden, blue, gray and peach, along with the many shade variations within these defining skin tones. 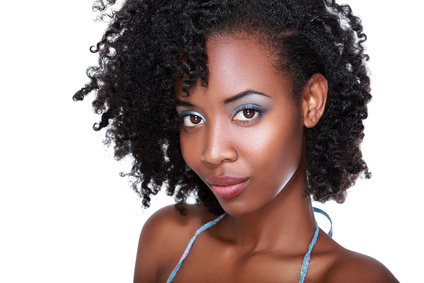 With dark ethnic skin it is important to note that trying to alter your natural complexion by choosing a mineral makeup foundation shade with incorrect undertones will contribute to the ashy appearance many African American, Indian, Latina, Asian and Mediterranean women are concerned about. That is why it is important to choose correctly and not select a foundation shade that is for olive skin or a shade with blue / red undertones when you are golden red. Another example is choosing a shade with a lot of yellow in it when you possess a lot of red in your skin or vice versa. Also our mineral makeup will never cause an ashy appearance due to titanium dioxide or zinc oxide being in the correct balance with iron oxides and a complex blend of other skin soothing botanicals we use to help offset this while providing gentle care for the face. Utilizing correct shades will bring a luminous glow to any shade of ethnic skin without the ashy or ghost like appearance. These are examples to help get started on choosing the best shades for dark ethnic skin tones. But remember, it still may take a combination of two or more mineral shades depending on the depth and complexity of the color your particular ethnic skin possesses. FOR NAME OF THE BEST SKIN TONE MATCH, HOVER YOUR MOUSE OVER ALL IMAGES INCLUDING THE ONE ABOVE, THEN CLICK TO GO TO YOUR PREFERRED SHADE. FOR MOBILE JUST TAP ON IMAGE TO SEE YOUR SHADE MATCH. For lighter ethnic skin you may want to add more yellow minerals to neutralize red by using Xantha. Mirabella, Emily and Tawny are also excellent for lighter ethnic skin based on preferred undertones. Blending mineral makeup for your correct skin tone has never been easier or achieved such flawless perfection. See the full list of our darkest mineral makeup shades, along with our list of minerals in our medium tan ethnic skin tones. Within the mineral foundation descriptions are some alternative choices for blending to a softer lighter version while maintaining the correct undertones.